May 24, 2018NOAA’s Climate Prediction Center is forecasting a 75-percent chance that the 2018 Atlantic hurricane season will be near- or above-normal. Dr. Gerry Bell, lead seasonal hurricane forecaster at NOAA’s Climate Prediction Center, gives a summary of the 2018 Atlantic hurricane season outlook. NOAA’s fleet of earth-observing satellites is more robust than ever with the successful launch of the GOES-17 satellite in March. This satellite, along with the GOES-16 satellite – now GOES-East – contribute to a comprehensive picture of weather throughout the Western Hemisphere, allowing forecasters to observe storms as they develop. The new polar-orbiting satellite, NOAA-20, will join the NOAA/NASA Suomi NPP satellite and use a suite of sophisticated instruments to gather high-resolution data from around the globe to feed NOAA’s weather models, driving the 3-7 day weather forecast that is critical to preparedness and effective evacuations. The National Weather Service will run a version of the Global Forecast System (called FV3 GFS) with a new dynamic core alongside the current GFS model – often referred to as the American model – during the 2018 season. This will mark the first dynamic core upgrade to NOAA’s flagship weather model in more than 35 years, representing the first step in re-engineering NOAA’s models to provide the best possible science-based predictions for the nation. 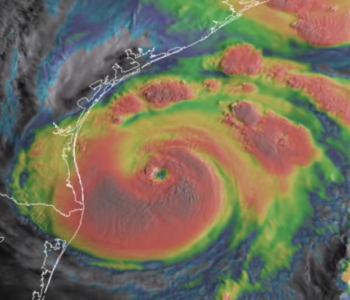 NOAA’s hurricane-specific model – the Hurricane Weather Research and Forecast system – will be upgraded to offer greater resolution than ever before, increasing model resolution from 1.2 miles to 0.9 miles (2 km to 1.5 km) near the center of a storm. Additionally, the Hurricanes in a Multi-scale Ocean coupled Non-hydrostatic model was first implemented in 2017 and will undergo upgrades for the 2018 season to include greater resolution, new physics and coupling with ocean models. NOAA’s National Hurricane Center will make the Arrival Time of Tropical-Storm-Force Winds graphics operational for this hurricane season. One graphic displays the “earliest reasonable” arrival time of tropical-storm-force winds, at which point further preparedness activities could be hindered. 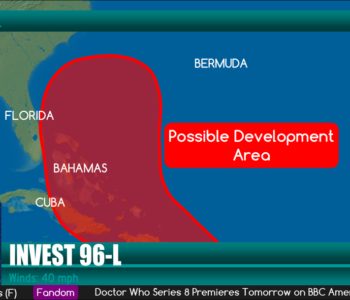 A second graphic displays the “most-likely” arrival time of tropical-storm-force winds. Every spring and summer we see news accounts of people bitten by alligators. Last July, for example, a tourist in Mexico was attacked by an alligator when he waded into a lagoon in the resort area of Cancun. After a struggle with the animal, Cal Monzon managed to get away and was found by a security guard who heard his screams. But he had lost one arm up to the elbow, Newsweek reported. In May 2016, when police in Lakeland, Florida, were searching for a 21-year-old on the run, “they discovered him lying on the ground missing about three-quarters of his left arm,” according to KRON News 4. Jessie Scott Kingsinger had jumped into a lake and encountered an alligator in his attempt to swim away. One excellent – though not full-proof – way to avoid an alligator attack is to stay out of lagoons and lakes, especially in tropical areas. But gators often are seen on land too, and if provoked, can move very fast to attack. 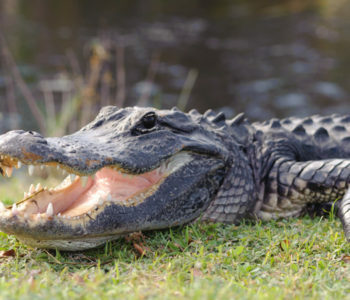 Florida has more than a million gators, but only a dozen or so bites are recorded each year, according to the Florida Fish and Wildlife Conservation Commission (FWC). “In recent years, Florida has experienced tremendous human population growth. Many residents seek waterfront homes, and increasingly participate in water-related activities. This can result in more frequent alligator-human interactions, and a greater potential for conflict,” the FWC warns. If a gator grabs hold of you, there are a few things you can do. Most important, don’t give up. Rather than try to open a gator’s extremely powerful jaws, aim for where the animal is most vulnerable. “Pop them on the snout. The tip of their snout is very sensitive. That might be able to get them to release you,” Magill said. Even if you get away with only flesh wounds, you need to get them treated immediately at a hospital or other medical facility. According to a recent study by Australian scientists, a bite from a crocodile (or alligator) can lead to serious infections. Bacteria can enter the body via the deep cuts from a crocodile’s teeth or from wounds occurring when people try to escape. The study said surgery is essential to prevent new or worsening infection after any bite so surgeons can remove already-infected tissue and help flush out any bacteria hiding in the wounds. “Bacteria living in crocodiles’ mouths can come from the intestines of other animals they eat or from the water in which they live. “When people are trying to escape a crocodile attack, bacteria living in the soil and mud also pose a risk. And bacteria commonly living on our skin without causing problems can cause infection when the skin’s protective barrier is lost. HARVEYS LAKE — If you see members of the U.S. Coast Guard Auxiliary while boating on a local lake, they might ask you a question. And it would be a good idea to answer in the affirmative. With the summer boating season getting underway, auxiliary members have been busy offering free vessel safety checks, inspecting everything personal flotation devices to battery connections. 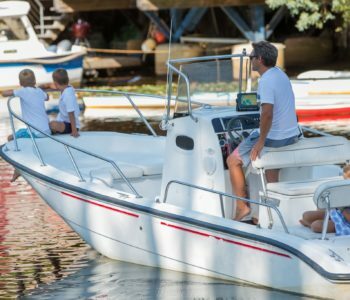 There is no penalty if a boat doesn’t pass the voluntary inspection, but there is a major risk if you decide to hit the water with a craft that isn’t in full compliance. “We want to make sure you’re safe on the water. That’s our goal,” said James Sheridan, Division Commander of Division 15-Northern Lakes, which covers parts of New Jersey and Pennsylvania. Those boats that pass a safety check are issued a Coast Guard Auxiliary decal that informs law enforcement agencies that the craft was inspected. Not only are the checks free, Sheridan said, the auxiliary makes the process convenient by visiting boaters at lakes and rivers and even arranging appointments to conduct inspections at their residence. Division 15 conducts safety checks throughout the summer at Harveys Lake, Beltzville Dam, Lake Wallenpaupack and the Susquehanna River. Sheridan said now is the peak time to get an inspection completed and address any issues. The auxiliary offered safety checks at Harveys Lake on June 6 and, despite rainy conditions, inspected 15 boats. Division 15 typically conducts up to 700 safety checks per year throughout the area, and most of them are done while the boats are lined up waiting to use the launch. Sheridan said the inspection takes about 15 minutes and is usually finished by the time the boat is ready to launch. Another safety check will be held at Harveys Lake later this summer, he said, and the service is offered for fishing boats, recreational craft, paddle boats and kayaks. Sheridan said the auxiliary works closely with the Pennsylvania Fish and Boat Commission safety requirements. John Cummings, a waterways conservation officer with the PFBC, said when he sees a boat with an auxiliary decal it tells him that person cares about being safe. When Cummings does board a boat, he still conducts an inspection regardless of the presence of a sticker, mainly to make sure there are enough life jackets and sound devices for the number of people on board. The auxiliary inspections are actually more in-depth than a safety check conducted by the PFBC, delving into aspects such as ventilation and gas lines. Sheridan said life jackets are always a major focal point, especially if there are children on the boat. The safety checks are also educational, warning about the dangers of low-head dams, the correct protocols for using a jet ski and reminding boaters that even though they are out in the day it’s a good idea to make sure the navigation lights are working. Sheridan also cautions that experience is no substitute for safety. This article is written by Tom Venesky from The Times Leader and was legally licensed via the Tribune Content Agency through the NewsCred publisher network. Please direct all licensing questions to legal@newscred.com. Excessive heat over longer periods of the year has rapidly become the norm for summer weather in the United States. Extreme heat is a leading cause of weather-related deaths in the United States. Last year was the third hottest year on record in the United States. It was also the costliest, according to the National Oceanic and Atmospheric Administration (NOAA). In fact, 2017 was the 21st consecutive year that the annual average temperature exceeded the average for the latter years of the 20th century. Although this spring has been unseasonably cool, especially along the East Coast and in the Midwest, summer heat is rapidly approaching. So it’s not too early to think about precautions to take to maintain a cool home and avoid becoming ill when outdoor temperatures reach 90 degrees Fahrenheit or higher. It’s important to remember that not everyone is equally at risk for heat-related illnesses. 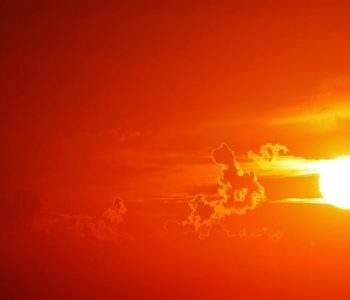 “Children, people 65 years and older, people who are sick, and people without access to air conditioning are at greater risk of heat-related illnesses,” warns the National Environmental Education Foundation (NEEF). “Patients with mental illnesses such as depression or schizophrenia are at risk during hot weather because their medications may interfere with temperature regulation. Suicide rates also increase with high temperatures,” NEEF adds. Individual homeowners and tenants can help reduce very high temperatures and heat island effects while also improving the community’s resilience to heat waves. Planting trees and other vegetation lowers surface and air temperatures by providing shade and cool environments. Trees and vegetation that directly shade your home can decrease the need for air conditioning, making your home more comfortable and reducing your energy bill. Trees also improve air quality and reduce your exposure to harmful ultraviolet rays. A green roof or rooftop garden is a layer of vegetation grown on a rooftop. Green roofs absorb heat, act as insulators for buildings and improve indoor comfort. They also reduce the energy needed to provide cooling. A cool (or reflective) roof reflects sunlight and heat away from your home and lowers roof temperatures. Your home will stay cooler and the amount of air conditioning needed will be reduced. According to one study, cool roofs can provide an annual energy savings of almost 50 cents per square foot of roof. Such energy savings can mean better air quality in the community and fewer greenhouse gases emitted into the atmosphere. Using energy-efficient appliances and equipment lightens the load on the electric grid during heat waves, ensuring a more reliable supply of electricity to the community. Look for EPA’s Energy Star label for the most energy-efficient purchasing decisions. Replacing old appliances and equipment with Energy Star-certified products also helps save money. Check on your friends, family and neighbors during excessively hot days. Make sure they have access to air conditioning or cooling centers, which will help them to avoid heat-related illnesses and death. Understanding how a changing climate affects health is important for minimizing illness and death during excessive heat spells. It’s important to learn about the relationship between climate change and extreme weather. The U.S. Environmental Protection Agency has produced the free Excessive Heat Events Guidebook. 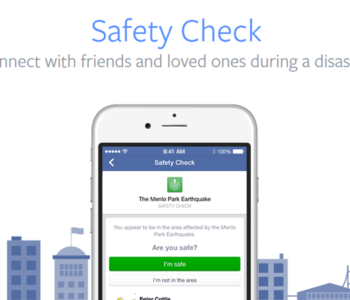 This guidebook was created with assistance from NOAA, the Centers for Disease Control and Prevention (CDC) and the Department of Homeland Security (DHS). It’s finally here! 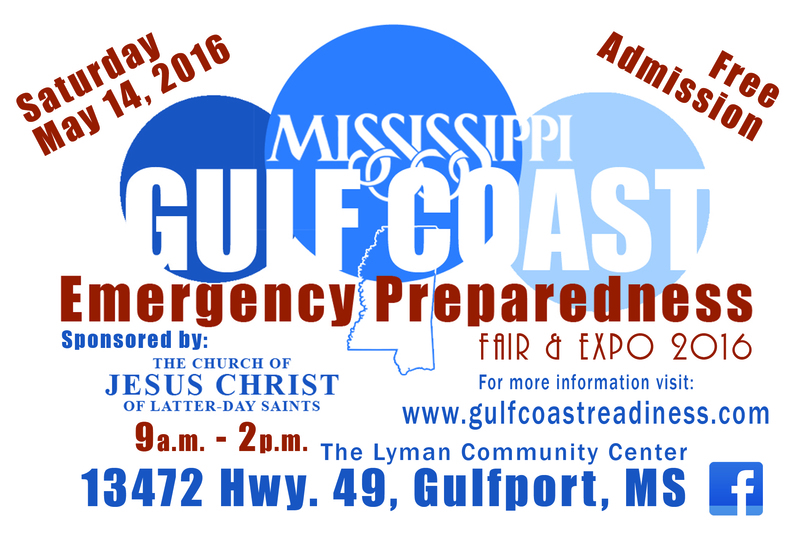 The 4th Annual MS Gulf Coast Emergency Preparedness Fair & Expo. 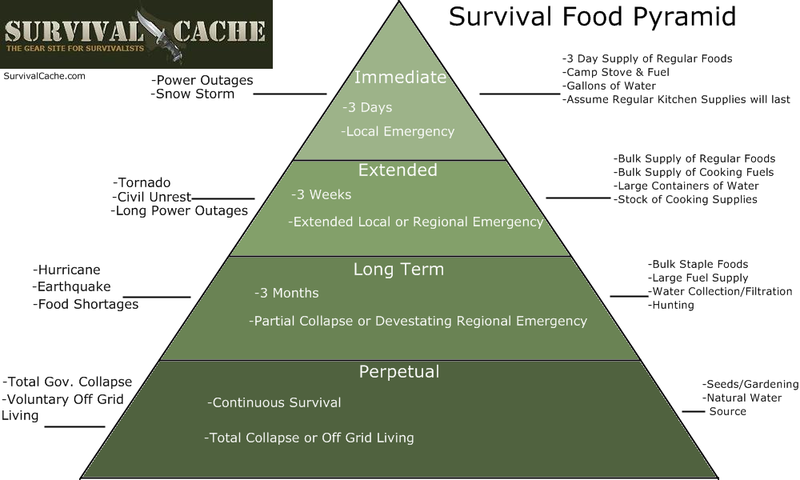 Come out and learn how to be prepared for nearly anything. Saturday, May 14th, 2016 at the Lyman Community Center in Gulfport, MS. Admission is absolutely free and there will be free food and refreshments. This year’s exhibits include; Home Canning, Gardening and Seeds, Water Storage, Alternative Cooking Sources, Fire Safety, CPR Training, and many, many more. If there is one event you go to this year, make it this one! Hurricane Danny finally intensified Thursday morning into the first hurricane of the 2015 Atlantic hurricane season, well to the east of the Lesser Antilles in the central Atlantic Ocean. Microwave satellite imagery indicates Danny’s convection looks to be more solidly organized around its center of circulation Thursday morning than it was Wednesday, notes hurricane specialist, Michael Lowry. Danny’s hurricane-force winds extended up to only about 10 miles from the center of circulation as of the 11 a.m. advisory from the National Hurricane Center, a tiny hurricane-force wind field. Small circulations such as Danny are prone to sudden changes in intensity, which can be difficult to forecast. Dry air will be a continual challenge to Danny over the next several days, as water vapor imagery indicates an ample reservoir of dry air north of Danny extending westward into the Caribbean Sea. Dry air hampers tropical cyclones by encouraging the development of stronger thunderstorm downdrafts, which then either squelch nearby thunderstorms from forming or push them away. This dry air is also stable, meaning it suppresses upward vertical columns of air needed to maintain or form new thunderstorms. Wind shear, namely, the change in wind speed with height either in speed and/or direction, can blow convection away from the center from a tropical cyclone. If strong enough, this can rip apart existing tropical cyclones. Despite what had been a rather hostile atmosphere featuring record mid-July through mid-August Caribbean wind shear, Danny will remain far enough south over the next couple of days to remain in an environment of rather light wind shear. So, assuming the atmosphere immediately surrounding Danny remains somewhat moist, Danny may remain a hurricane through this weekend. Danny will move generally toward the west-northwest the next several days. Computer model forecast guidance shows that it may not reach the longitude near the eastern Caribbean Sea (about 61 degrees West longitude) until Monday. As a result, we have plenty of time to monitor its progress. Given the aforementioned dry air and wind shear in place over the eastern Caribbean Sea, it’s possible that this system will be weakening once it reaches the vicinity of the Lesser Antilles, but may still be at least minimal hurricane strength upon arrival. It remains too early to get too specific on impacts to those islands. 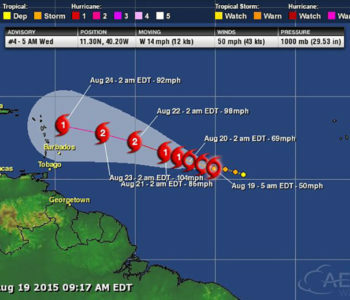 Interests in the Lesser Antilles, the Virgin Islands and Puerto Rico should monitor the progress of Danny. Stay tuned to The Weather Channel and check back with weather.com for updates on this system. Incidentally, while small, Danny isn’t the smallest tropical cyclone on record. According to the NOAA’s Hurricane Research Division, Tropical Storm Marco in 2008 had gale-force winds extending only 12 miles from the center. Danny’s tropical storm-force winds extended up to an estimated 60 miles from the center, as of late Thursday morning. 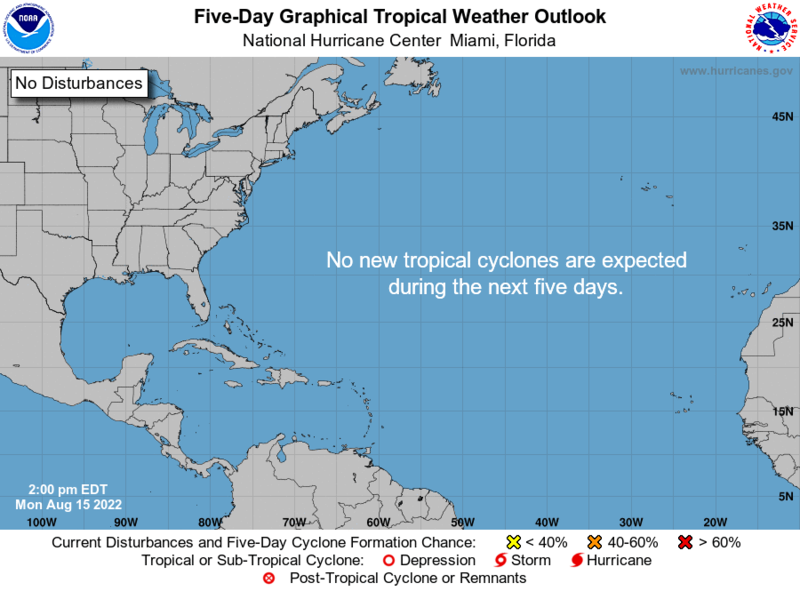 Danny became only the fourth named storm to become a hurricane in the strip of the Atlantic Ocean from off west Africa to the Lesser Antilles since the start of the 2011 season. Gonzalo (2014), Humberto (2013) and Katia (2011) were the only others to do so in that stretch of over four seasons. Cristobal is a sheared tropical cyclone with all of the associated convection located over the southeastern portion of the circulation. During the past few hours, deep convection has formed a little closer to the center and reconnaissance aircraft data indicate that Cristobal has strengthened a little. The Air Force Reserve aircraft has measured peak 850 mb flight-level winds of 55 kt, and believable SFMR winds of around 45 kt. Therefore, the initial wind speed is set at 45 kt for this advisory. The north to northwesterly vertical wind shear that has been affecting the cyclone is forecast to decrease during the next day or so. This should allow a more favorable environment for strengthening. The NHC intensity forecast brings Cristobal to hurricane intensity in a couple of days, which is close to the SHIPS guidance and model consensus. Late in the forecast period, Cristobal is expected to become an extratropical cyclone. Aircraft fixes between 0000 and 0600 UTC showed that the cyclone meandered southeastward or a center reformation occurred. The last few fixes indicate that Cristobal has resumed a slow northward motion of about 3 kt. The tropical storm is expected to begin moving north-northeastward today ahead of a mid- to upper-level trough between Bermuda and the United States east coast. By Tuesday the trough is forecast to lift out and Cristobal should begin moving faster north-northeastward around the western periphery of a building ridge over the central Atlantic. Later in the period, the cyclone should turn northeastward and accelerate when another trough approaches the coast of the northeastern United States. The track guidance has shifted eastward during the first 48 hours, and the official forecast has been adjusted accordingly. After that time, the track is similar to, but faster than, the previous advisory since the track guidance has once again trended toward a faster northeastward motion. Shower and thunderstorm activity associated with an elongated area of low pressure located several hundred miles east of the Windward Islands has become a little better organized during the past few hours. Additional slow development of this system is possible during the next day or two, and a tropical depression could form as the system moves west-northwestward at 10 to 15 mph across the Lesser Antilles and into the Caribbean Sea. After that time, land interaction could limit development potential over the weekend. Regardless of tropical cyclone formation, gusty winds and heavy rainfall are possible across portions of the Lesser Antilles, Puerto Rico, and the Virgin Islands on Thursday night and Friday. Interests in those islands should closely monitor the progress of this system. 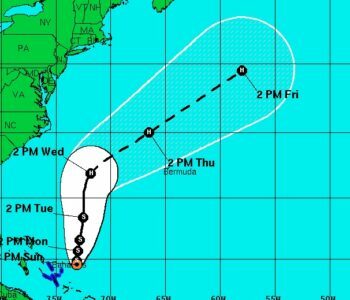 An Air Force Reserve Hurricane Hunter aircraft is scheduled to investigate this system tomorrow afternoon, if necessary. * Formation chance through 48 hours…medium…50 percent. * Formation chance through 5 days…high…60 percent. 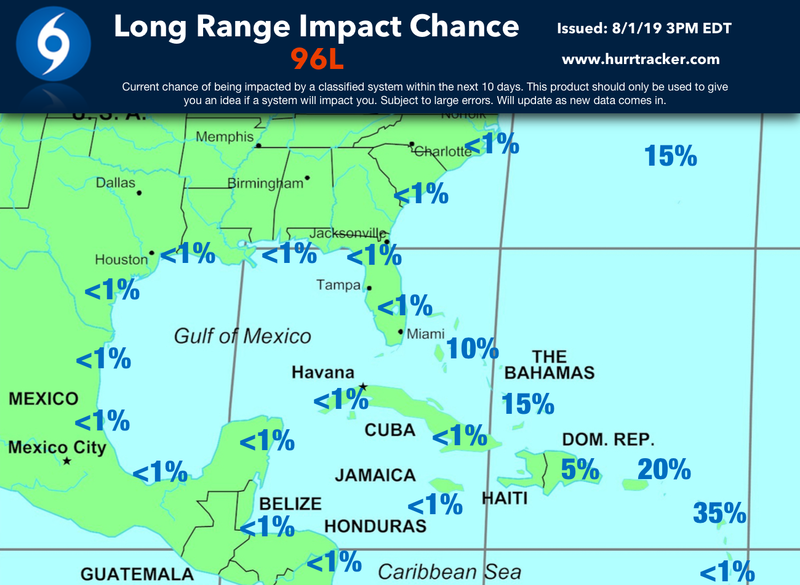 Experimental Long Range Impact Chances (Issued By Our Team).